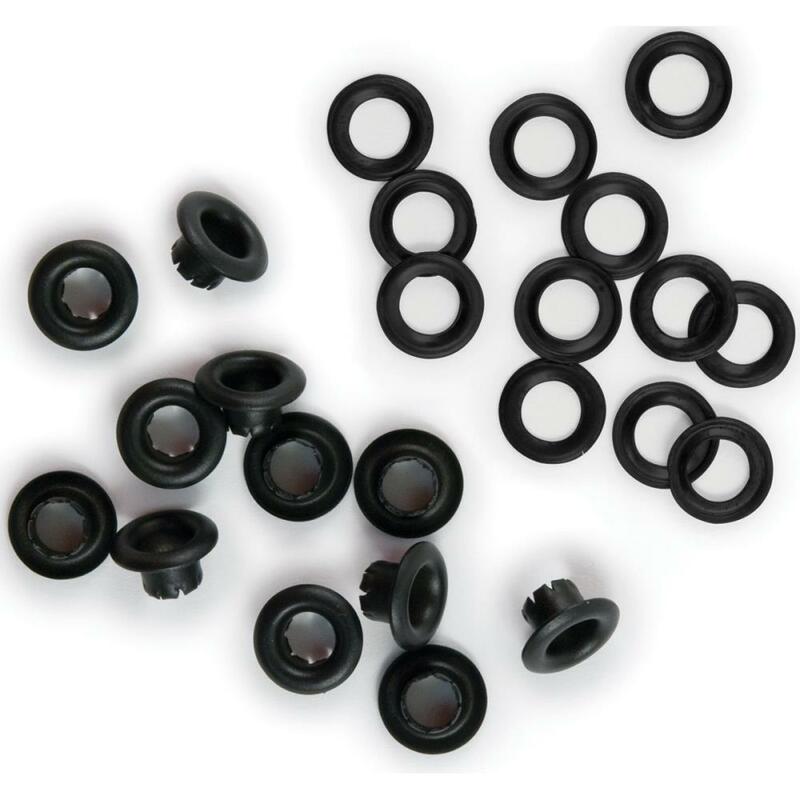 This package contains 3/16 " Black Eyelets & Washers. You'll find 35 (thirty-five) of each for your projects. Product by We R Memory Keepers.